Since this site was launched, I have received so many emails asking about the beautiful ash trimmed boat which features in so many of my articles. So much so that I've decided to dedicate a whole page to it. The canoe is a 15 foot, Prospector and is made by a company called We-no-nah. 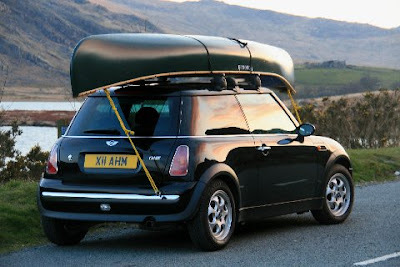 Think the Rolls Royce of the canoeing world and you're almost there. I dreamt of owning one of these boats for 7 years before I finally fulfilled my dream. 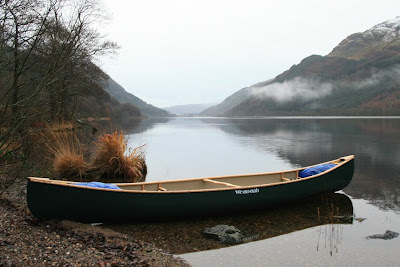 In my eyes they are one of the most beautiful canoes on the market and they are a dream to paddle. You don't need a 4x4 to carry them around either, mine fits perfectly on top of my little Mini! Beautiful boat. I have an 18-foot kevlar We-no-nah and love it to death. Thanks for the post!